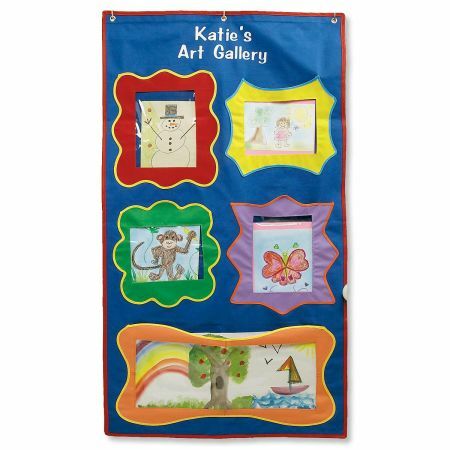 5 pockets — 4 pockets for 8-1/2" x 11" pictures, and one large pocket for their masterpiece! Showcase art, pictures, and good grades! Three hooks slip over the door for easy display. 29" x 50"L.
Specify 2 Lines, up to 12 characters ('s and Art Gallery" are not preprinted).